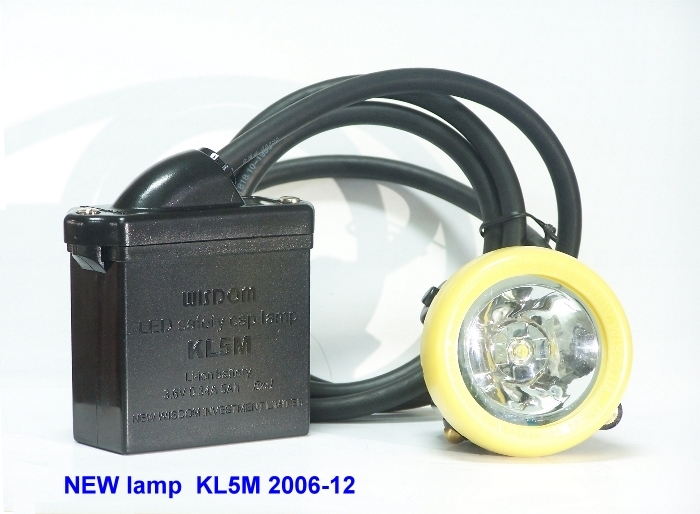 New KL5M is produced under production technical of compliance with RoHS. We have successfully made the KL5M LED light Li-ion battery miner's lamp in 2003. 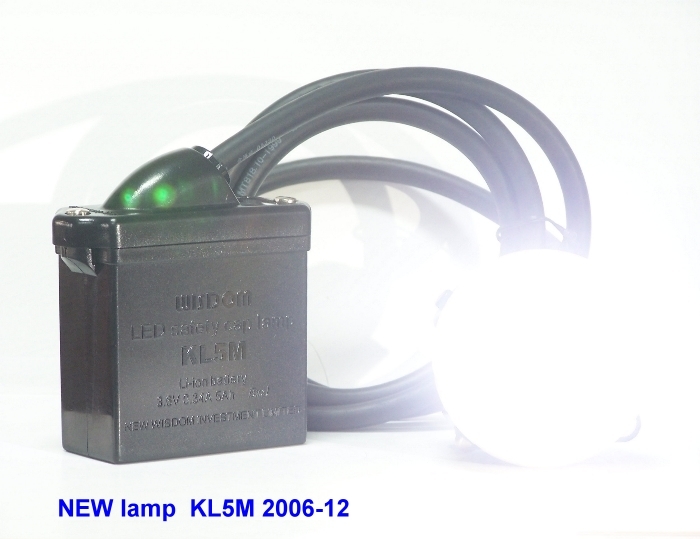 After continues improvements, the newly designed KL5M cap lamp in 2006 July has reached a very high level. 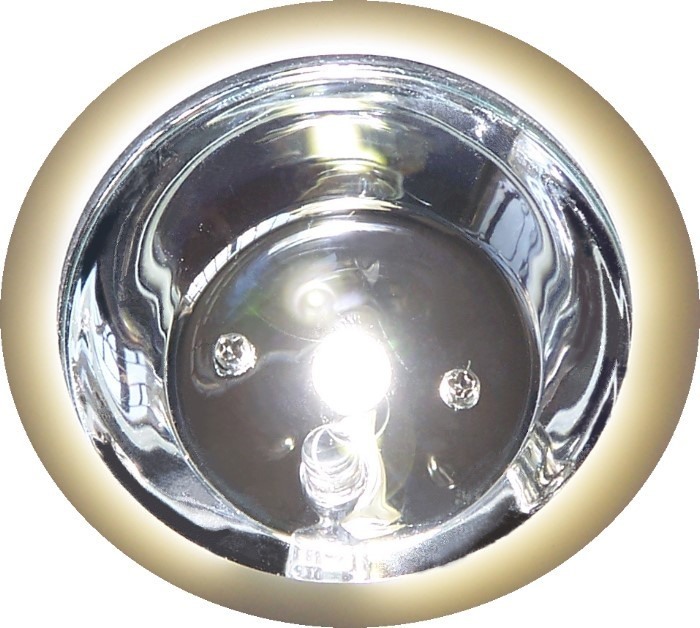 We use the LED light especially designed for us with the luminous flux of 80Lm (70-90Lm). The lighting degree is reaching 5000Luxes (in distance of 1m). LED antistatic capacity is reaching 8000V. The new design of the LED match with the new radiator structure solved the heat of the LED light from the foundation. We use the button switch in the lamp. The button is completed sealed with a special construction design. We use the LiMn2O4 battery of soft packing which further improved the safety usage. We use Makrolon material of the German brand��Bayer, to make the lamp plastic housing, which make the view of the lamp high quality feeling and looking. The new lamp has been used a new way to fix the cable which improved the drag resistance of the cable. In a word, the NEW WISDOM KL5M always chases to be the best in the world! Safety: In a sealed battery case, the product has a short-circuit protection, LED light head lamp and anti-static housing which make it explosion-proof. The miner's lamp is reasonable tool for the coal miners. Reliability: The tough housing, the optimized structure design, the solid LED light that uses high efficient IC drivers, make the product durable and strong. The lamp is capable to endure at strong power attacked, the perfect of protection for Li-ion battery over charge/discharge design strengthen the reliability of the lamp. The miner's lamp is very suitable to work under bad environment of the coal mine. Portability: Small in size, light in weight, portable to carry, free of maintenance, simple charging, easy usage. The miner's lamp has received many praises from the miners. 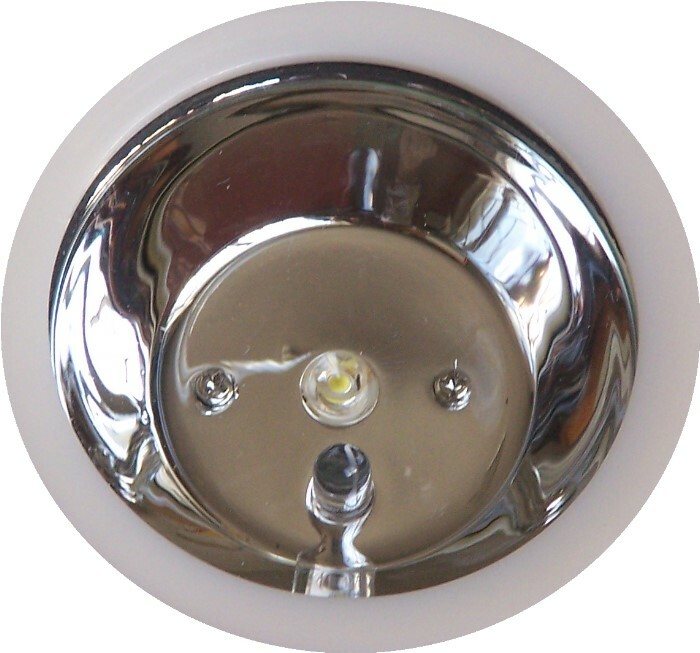 Efficiency: The LED lamp is very bright of luminous flux 80Lm, The luminous intensity is 3000-6000Lux (in distance of 1m). This intensity is maintained from the beginning of the shift to the end of the shift., usage life 1200 cycles (in reasonable working condition). 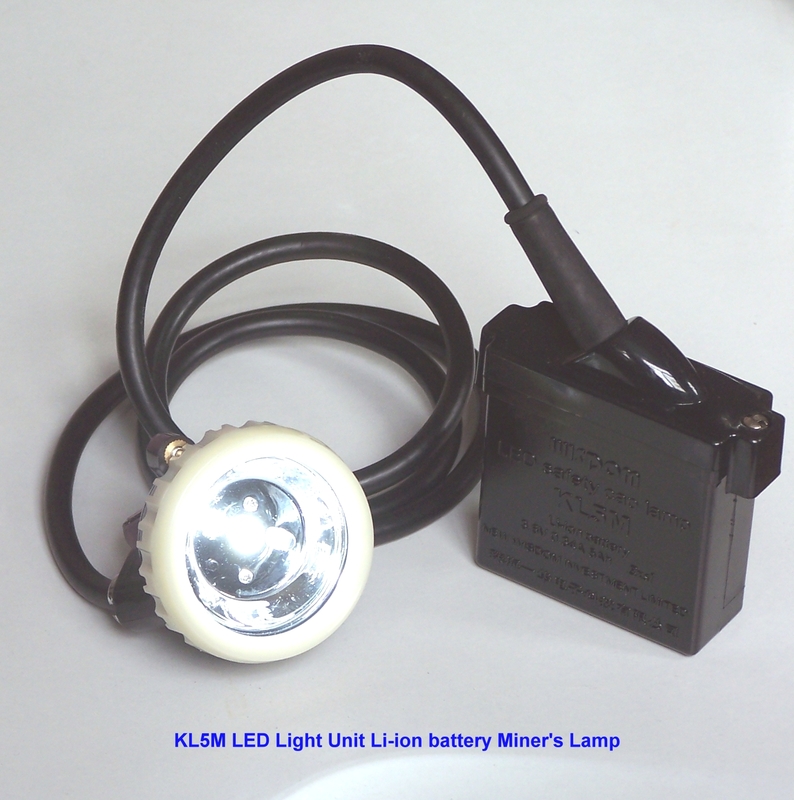 Environmental: the miner's lamp is made from environmental Li-ion battery and other environmental materials. So the miner's lamp is an very good green product. Economy: duration of usage three times longer than lead and acid miner's lamp, plus Li-ion battery is free maintenance then save in maintenance fee make the product higher economy benefit. Much more better than the traditional miner's lamp.